Hormone pellet therapy is one of the newest and most advanced ways to deal with hormone loss due to menopause or other conditions in which the body isn't producing enough hormones. Both men and women can benefit from hormone pellet therapy if they're lacking essential hormones. Hormone pellets contain bioidentical hormones that are the closest possible thing to your body's own hormones. Contact Ritz Med Spa in Franklin, Tennessee, to find out more about this treatment option. It's natural for your hormone levels to decrease over the years. In women, the decrease is most dramatic with the onset of menopause. However, both men and women experience lower hormone levels as they enter adulthood, middle age, and senior years. Lower levels of hormones can cause unpleasant symptoms that affect the entire body. Now, BioTE® hormone pellets can correct hormone depletion in the most natural and healthy way possible. What are the Signs of Hormone Depletion? A feeling of "brain fog"
Hormone imbalance is especially difficult because it's common to have several symptoms, or even all of these symptoms at the same time. How is BioTE Different From Other Types of Hormone Replacement Therapy? The BioTE hormone pellets are different from other types of hormone replacement in several ways. First, they're natural. The BioTE hormones are entirely derived from plants, which allows for the closest possible match to your body's own natural hormones. Other hormone replacements are either derived from animals or made in a laboratory and are often harder for the body to accept and process. The BioTE pellets are easy to process and allow you to feel better in the most natural way possible. Some hormone replacements are through oral medication. Instead of having to take pills every day, BioTE allows you to have quick injections every three or four months and then forget about it until the next appointment. 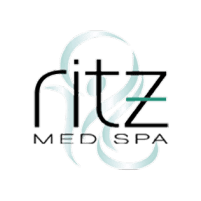 During your appointment at Ritz Med Spa, your practitioner prepares a small area — usually on the fatty part of the buttock — for pellet insertion. The pellets are injected quickly, and this process causes little to no pain. The whole process takes only minutes. Most patients notice an improvement in their symptoms right away, and they get better over time. You'll return every three or four months for a new injection. BioTE is the easiest and most natural way possible to deal with hormone depletion.